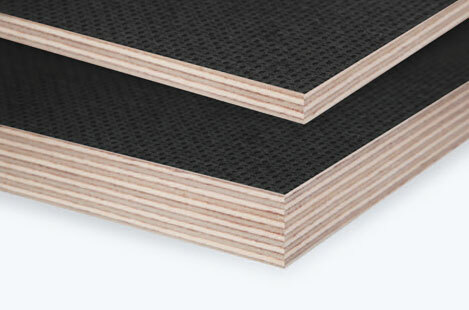 Birchply is a special film faced plywood coated with wear resistant phenolic film This plywood has a mesh working surface. Its edges are protected with water-dispersible acrylic paint. Titan plywood is specially designed for applications where high wear resistance and anti-slip properties are required: vehicle floors, industrial flooring, load bearing platforms, storage racks. Titan is bonded with Phenolic resin cross-bonded weather resistant gluing according to EN 314-2/class 3. Wood veneer is a living material and is subject to moisture movement according to surrounding conditions, which affects the flatness of panels. It is important to condition the panels to reach a moisture content near to the equilibrium of their permanent environment. Like other wood-based panel products, Birch Plywood is also hygroscopic and its dimensions change in response to a change in humidity. A change of 1% in moisture content typically increases or decreases the length, width and thickness by 1% in dimensions and thickness. It is therefore desired that the edges are sealed with a suitable acrylic paint to prevent and/or control ingress of moisture and humidity and consequent swell in thickness and expansion in dimensions. 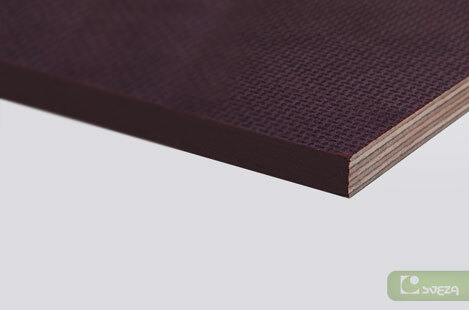 Face: Phenolic resin coating with wire mesh pattern, dark brown or black. Reverse: Phenolic moisture barrier. Available either smooth or imprinted.